Continuing on a bit from my question regarding the Delta (Ohio) East Base (MC1516) and West Base (MC1521), I noticed that they were set in 1943. Didn't think much about it, but then I noticed that the Colton (Ohio) station (MC1496) was also set in 1943. So I thought I'd do a search/sort run by the counties that are adjacent to the Delta & Colton stations and pick all the ones that were set in 1943, and was a bit surprised at the amount of activity - all triangulation station related mind you, that took place in Northwest Ohio in 1943 - especially considering the war was still ongoing which surely impacted the availability of manpower and material. With that in mind, was there a "push" to get a specific project done, war or not - or was it just normal activity and the service was able to get the materials and manpower to get the work done? Photo is of the above ground portion of the Colton Station. It's in the middle of a driveway, and when I stopped by, the homeowner was doing some work on his truck, and after I asked if I could take pictures of it, he said "I had thought about tearing it out of my driveway, but I guess I'm not supposed to do that - and I guess there's another one under it anyways"
I am also a bit surprised this effort was done during the war. I can't think of a strategic reason they needed good lat/lon in the area at that specific time, and would have expected manpower to be directed at more urgent tasks. The COLTON RESET data sheet is at https://www.ngs.noaa.gov/cgi-bin/ds_mark.prl?PidBox=MC1496, just in case someone wants to see it without going through the search. It says the reset disk was placed over the underground mark after the original surface mark position was disturbed. Even though it is in the same place to the best of their ability, they bothered to make a new designation because there might be some small error. It has been measured by GPS so has an elevation, which the old one did not. The original COLTON is AJ1659 in case you are interested in the original description, which isn't the same as the newer one. You can't make a pidbox link to it, but can see the data sheet by searching by PID with the "destroyed" box checked. The lat/lon are truncated to scaled precision for NAD83, although they must have originally been to adjusted precision in NAD27 as shown in the superseded data on the reset data sheet. That PID is probably a newer assignment than the reset one, but I thought the PIDs were assigned before 1981, so am a bit confused why the data sheet looks like it was made after the reset. By comparing descriptions, it appears the present driveway was built around the mark sometime between 1943 and 1981, as the old description has it "in the front yard". Edit: I notice the geocaching page has the original OLD description with the MC1496 PID and does not mention that it is a reset. A cacher has pasted in the new description with his log. The "Original data sheet" captured by Geocaching on the logging page for MC1496 has the old description and superseded adjusted NAD27 coordinates. This confirms that NGS went back and split the old and new into separate PIDs sometime after 2000. Thanks! It does make one wonder. The photos are all the entries from 1943 from Hancock County Ohio (Findlay is the county seat) and as can be seen, there was quite a bit of activity in 1943 there as well. Of interest to me at least is the traverse stations Black (KZ2107), Black A (KZ2112), Black B (KZ2118), Black C (KZ2114), Black D (KZ2115) & Black E (KZ2113). From what I understand the traverse method is a little different than triangulation, but yielded similar results. It's the first time I've ran across that, but I haven't looked at things much outside of NW Ohio/NE Indiana/Southern Michigan either. In the fall of 1941 the Chief Engineers, U.S. Army, requested the Coast and Geodetic Survey to participate in an extensive mapping program of the Untied States for strategic purposes. In this program the Bureau had two functions to perform: first, the execution of geodetic surveys to provide horizontal and vertical control for the entire project; and second, the actual production of topographic maps in certain areas. 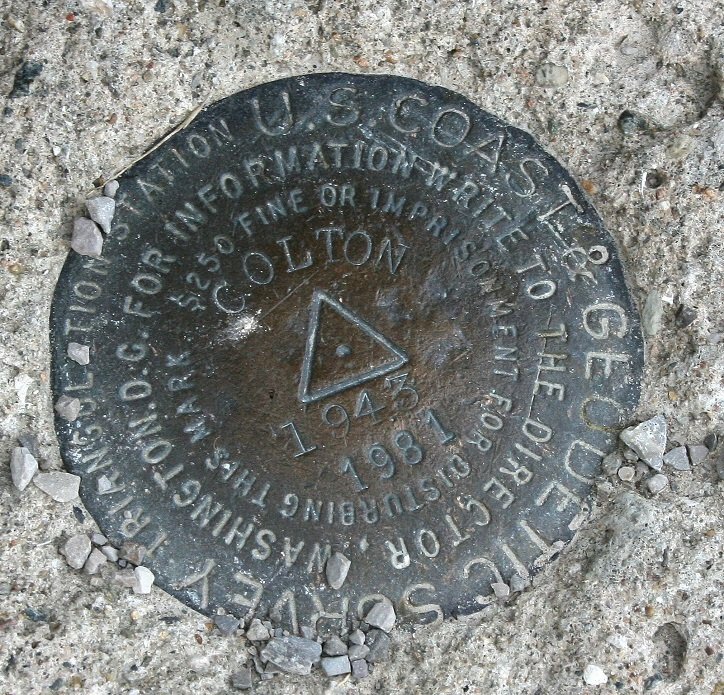 Geodetic control surveys were started in northern New York in August 1941 and were continued until May 1944, the last work accomplished being in the Santa Clara and Salinas Valleys, California. They were conducted in the following 22 States: Michigan, Ohio, New York, Vermont, Connecticut, Massachusetts, New Jersey, Pennsylvania, Maryland, West Virginia, Virginia, North Carolina, South Carolina, Georgia, Florida, Mississippi, Alabama, Texas, New Mexico, California, Oregon, and Washington. 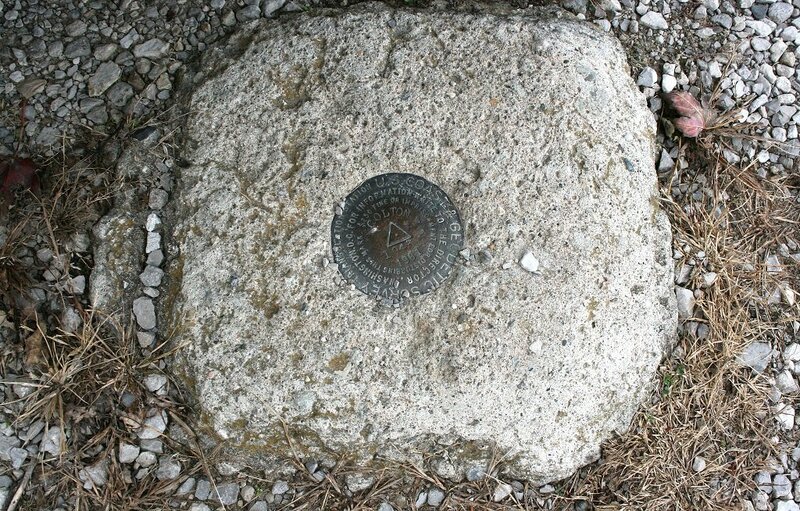 In these areas the geographic positions of 5,116 triangulation stations were determined, and the elevations of 40,250 bench marks were measured. Topographic surveying operations were begun by the Coast and Geodetic Survey in the vicinity of Georgetown, S.C., in January 1942, and continued until June 1944. Other Federal agencies participating in this part of the work were the Forest Service, Soil Conservation Service, Geological Survey, and the Tennessee Valley Authority." Awesome! that explains quite a bit!